The Script are a group of musicians from Dublin, Ireland. Childhood friends singer/pianist Danny O’Donoghue and vocalist/guitarist Mark Sheehan both worked with the group MyTown, and later struck up a songwriting and production partnership. 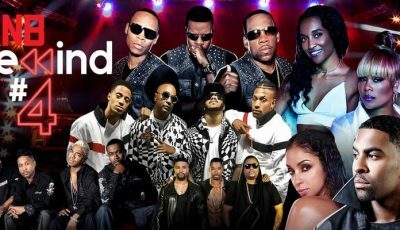 The partnership has written or produced songs for Britney Spears, Boyz II Men, TLC and more prior to joining forces with drummer Glen Power to form The Script. The Script have released several hits: “The Man Who Can’t Be Moved,” Breakeven (Falling To Pieces),” “For The First Time,” “Nothing,” and “Hall Of Fame” which was co-written with will.i.am of the Black Eyed Peas. 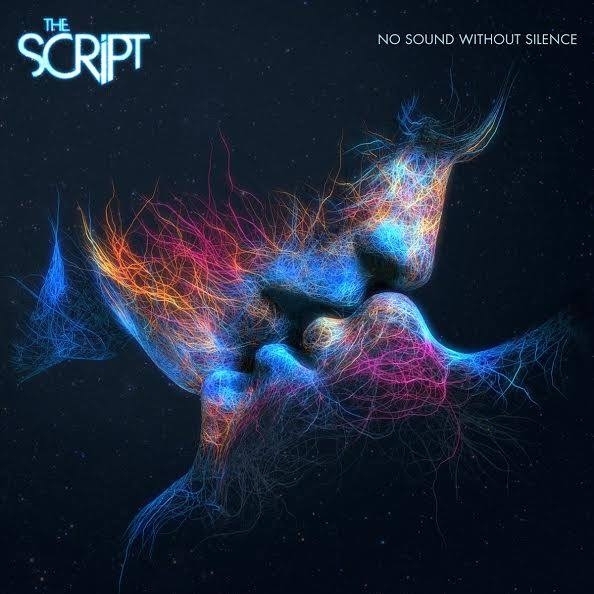 In July of 2014, The Script released “Superheroes” which is the first single from their forthcoming album No Sound Without Silence via Columbia Records. 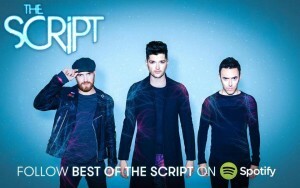 Learn more about The Script in the following interview! 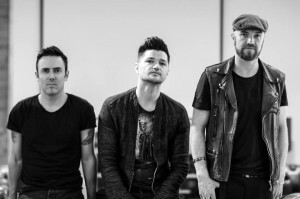 Please tell us about the early days of the group, how you and Mark Sheehan and Danny O’Donoghue eventually formed The Script? I met Mark in Dublin and he invited me out to Los Angeles to hang out and make music. It was there that he introduced me to Danny. The three of us got together to make some music and out of that, The Script was born. It was not planned at all. How did you come up with the name “The Script” for your band? Our songs are very story-like in nature, and we started the band in Los Angeles so we just felt “The Script” fit. What was the inspiration for your latest single, “Superheroes”? “Superheroes” is about people who are struggling to deal with the circumstances they are in, people who are the underdog. We get inspired by those people all the time and this song is very much for them. Can you tell us about the writing and recording process for your fourth studio album No Sound Without Silence? We wrote and recorded a lot of this album on the road. We had a recording studio on our bus, so we were able to come straight from the stage and start recording. We feel we’ve caught that energy you get at a concert when you come to see us live on the recording of this album. When we first met you on your first American tour in 2009 at a private showcase in Hollywood, we had a feeling this band would take off. By the end of that tour you had triumphantly returned to Dublin as the opening act for U2! Please tell us about this experience which would no doubt be a thrill for any Irish band? To open up for your childhood heroes was one of the most amazing things we’ve done. We got to perform in front of a massive audience in our home town. It was an amazing experience and it really gave us the hunger to want to do that ourselves. The Script’s songs are unique in that the verses tell a story and the chorus gets you singing along. 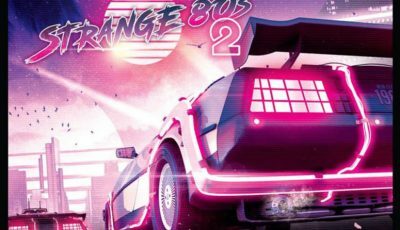 How did this style come about for you? We like to tell stories, I think it’s an Irish thing at heart. We grew up hearing stories when we were around our families. A lot of things are taught in story when you are a child growing up, so that influenced our style. How long did it take drummer Glen Power to learn how to play drums and guitar simultaneously? That took a little while! It was more for necessity than the desire for me to do that. We were rehearsing “I’m Your’s” and we thought it would be cool for something percussive to come in on the second chorus. I was already sitting at the kit and just started playing the bass drum and the hi-hat. Everyone said, “That’s cool, let’s do that!” The next thing I know I’m on stage doing it! We Americans are constantly hearing from the Irish that Guinness beer in the US just isn’t the same here because it doesn’t travel well. By the time it gets to the United States, they say it tastes completely different. What can be done about this? This is the question we’ve been asking for years! I have no idea? Maybe open a brewery in America??? 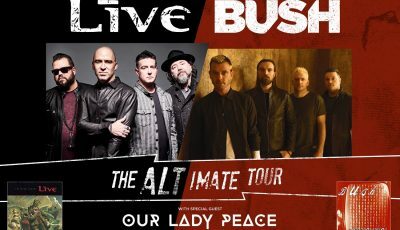 Do you have any memorable moments from your recent world tour, or something noteworthy about a particular city or culture that you’d like to share? What really surprises me, is our fans and the lengths they go to, to spread the word about the band. We are very blessed with them and how the music has affected and inspired them. There’s always an amazing new story that we haven’t heard yet. Practice, practice and more practice! Perform anywhere and everywhere you get the chance, and keep taking steps towards what it is you want to do. U2, The Police, and Genesis. What music are you all listening to now? Everything! I use Spotify all the time and love how it selects music for me. What is it about this lifestyle of traveling/touring and performing that made you decide to pursue music as a career? It was nothing about the lifestyle that made me want to be a musician. It was how music made me FEEL that made me want to be a musician. How have you grown as a band musically and as songwriters as you career has developed? All the touring and performing in front of so many people can only have a positive impact on you as a musician and as a human. For me, I realize that nowhere is far away anymore. As a kid, I thought my city was the world. I realize now that we are all connected and nowhere is far away and people are essentially the same. Do you have any pre-performance rituals before you go on-stage? We usually go into lock-down an hour before the show. Nobody is allowed near us an hour before. We all stretch and warm up. The lads do some boxing training! Then we all shake hands before we go on and then we just go for it! What is the one thing that you would like to see people come away with after listening to your music? We hope that they get inspired and they feel good. What was meant for me never passed me by. Indie Icon, Jamie Hince of THE KILLS shows off his photography at Bookmarc in Los Angeles.